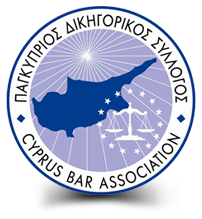 P. Angelides & Co LLC is a law firm founded by Mr Pavlos Angelides, who is probably the leading litigation lawyer of Cyprus. The firm possesses one of the best litigation teams in Cyprus, with Mr Pavlos Angelides as the head of the litigation department, which handles almost any kind of case. The members of its litigation team have been pioneers in many areas of the law including banking, the bail-in reconstruction of banks, taxation, constitutional, tort, corporate, insurance claims, intellectual property infringement, immovable property, family, administrative and criminal. Many of the cases successfully handled by the members of its litigation team are judicial precedents and are now considered authorities which constitute case studies for local universities. In particular, Mr Pavlos Angelides is the leader of the legal movement against the Bail-in which was conducted after the events of March 2013 in Cyprus, the pioneer against the illegalities conducted by banks against their clients, stood successfully and defended The Financial Times in the case of Tassos Papadopoulos v The Financial Times (Tassos Papadopoulos was the president of Cyprus at the time). The firm also maintains separate Corporate and Intellectual Property Departments which maintain strong connections with many countries across the world. A central value ingrained in the firm is its clients and associates must receive the best service whilst being cost effective and of the highest quality. This holds true for all services provided by P. Angelides & Co LLC. There is a plethora of reasons justifying how attractive Cyprus can be to foreign investors, one of which is the holding company regime. It can be characterised as one of the most advantageous in the EU and the most attractive feature of the Cypriot tax system through: uniform 12,5% corporate tax on net profits , being the lowest rate in Europe, extensive network of double tax treaties, flow of dividends through Cyprus totally tax free, no withholding tax on dividends distributed by the Cyprus entity to its non resident shareholders, approachable company incorporation and operating costs, capacity to register for VAT purpose, exemption of estate duty on inheritable shares, low income tax for expatriates as well as beneficial tax system for pensioners. Banking, trade finance, wealth management, trusts, fund administration and management are all fast growing segments of the island’s finance industry. Financial and business services are expected to grow exponentially in the next years as Cyprus’ reputation for stability and security is enhanced by the resilience of the island’s banks and financial institutions in the face of the global financial crisis. Furthermore the strategic location of the island between Western Europe and the Middle and Far East combined with some of the most advanced telecommunications in the world, has rendered Cyprus one of the leading international business centres with favourable operating conditions for international business clients.